There are scenes of drug use in my book (in fact I suppose you could say that drug use is a major plot point! ), and I was like, huh, will someone think I am encouraging kids to take drugs? And I thought about it for a moment and was like…I hope kids don’t take drugs after reading my book. Drugs are bad. Kids should not take them. Which was shocking to me, because I always used to think adults who told kids not to take drugs were either: a) hopelessly uncool and out of touch; or b) lying. The reason I thought anti-drug messages didn’t make sense was because, when I looked around, I could see that drugs were ubiquitous and pretty fun and at most times, to most people, they’re pretty harmless. 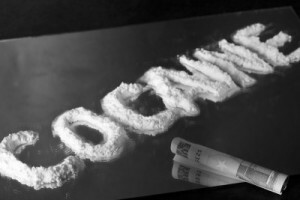 The amount of cocaine that gets snorted each year is immense. Compared to that, the number of cocaine overdoses and cocaine addicts is pretty low. Lots of people are snorting cocaine, having a good time, and in the aftermath experiencing nothing more than a racing heart and a depressed day or two. So anyone who categorically says that if you take drugs, then it’ll turn out poorly is wrong. In fact, there’s a very good chance that it won’t turn out poorly. However, the expected return on taking drugs is still pretty bad, because the upside is fairly limited (wooo, you had a fun night) and the downside is pretty extreme (you destroy all your relationships, lose all your money, and maybe die). Even if the chance of experiencing that downside is low, it’s not something you should risk! But even as I say this, I know it’s something which cannot be explained to most people, because to them the downside doesn’t exist. They think they’re in control and that it can’t happen to them. But what kids (and many adults) also don’t understand is you can slide pretty far down the path of addiction before you realize that you’re no longer in control of your actions. In the later stages of addiction, it’s true, it can feel like there’s some exterior force compelling you to drink or to use. But in the earlier stages, that force is masked. It often sounds like your own voice. And it often gives you some very compelling reasons for engaging in self-destructive behavior. It says, “Oh, if you want to be a real artist, then you need to live” or “You need to live life to the fullest right now.” It makes self-destructive behavior–things you never would’ve considered before you started down the road to addiction–seem completely rational. Someone might point out now that everything I’ve said applies to alcohol and am I saying people shouldn’t drink. To which I’d say…yeah. I think the exact same analysis applies to alcohol. The expected return is negative.